The Bains Lower Leader in Me Lighthouse Team presents ‘Leaders Don't Litter’ to the St. Francisville Rotary. Back row, Superintendent Hollis Milton; from left, back row, Madelyn Ashley, Blaize Bradford, Hailey Washington, Sarah White and Mary Jane Turner; and front row, Dean Johnson, John Barrow and De'Caryous Dixon. 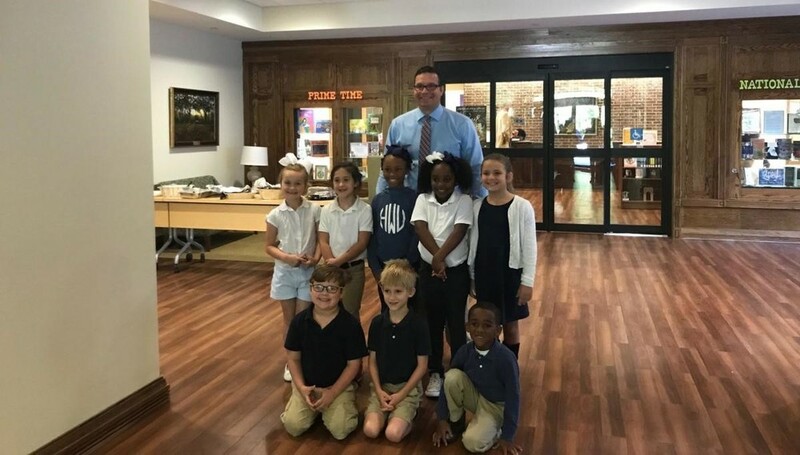 The Bains Lower Leader in Me Lighthouse Team recently presented a ‘Leaders Don't Litter’ program to the St. Francisville Rotary.